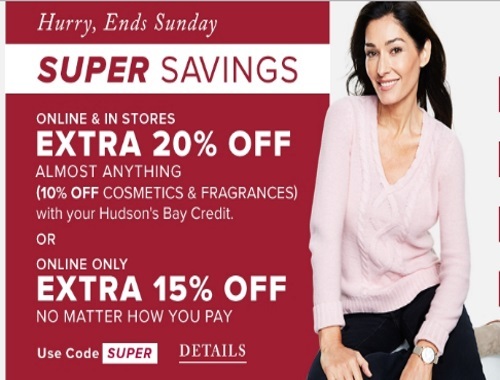 Hudson's Bay has a Super Savings Event on now! Save up to 20% off your order with the offers below! Offer is valid until Sunday, November 6, 2016.